West Africa Cooks supports Water Aid to help African children because without clean, safe water getting an education is almost impossible. Days and weeks are missed through illness. 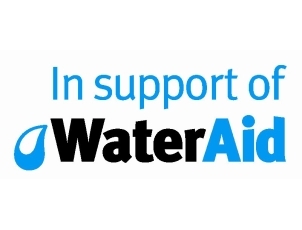 The charity Water Aid supports projects that bring taps, toilets and hygiene training to schools. This helps children get the education they need to fulfill their dreams and potential. Practice good hygiene when cooking. It is easy for you to spread bacteria to food without realising. These bacteria are invisible and could make your family, friends and guests ill. Your personal hygiene is important. Before you start working with food and cooking. Always wash your hands. If you have vomiting or diarrhoea as an illness do not, cook and work with food. Take off your watch and jewellery. Avoid touching your face, coughing or sneezing over food.